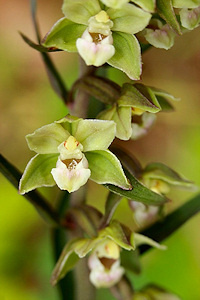 The violet helleborine is an uncommon orchid found in broad-leaved woodland, usually in heavy shade. 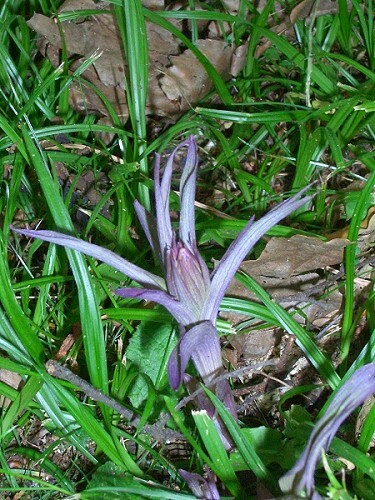 These were found growing underneath the rhododendron bushes in the garden. The leaves emerge as a purple colour (achlorophyllous. meaning they contain no chlorophyll). See the photo below. 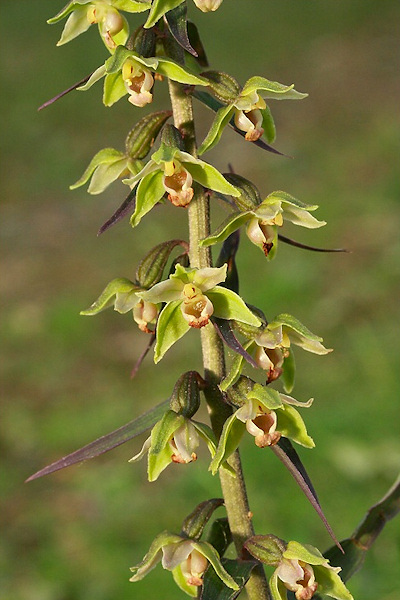 The greeny-yellow flowers are tiny and grow in long spikes, each floret being a minute, but perfect orchid shape. From a distance, these flowers do not look at all interesting but on close examination, these tiny orchid florets are exquisite.